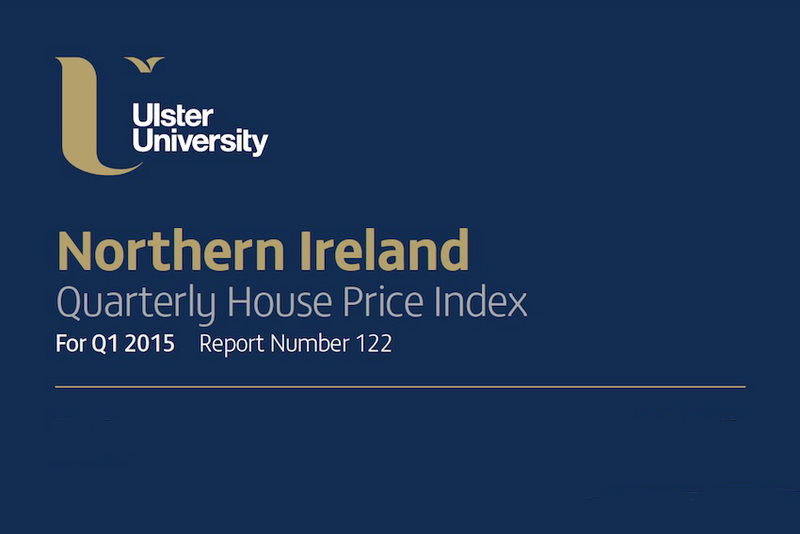 Northern Ireland Quarterly House Price Index for Q1 2015. Report Number 122. Northern Ireland house prices have continued on the upward trend in the first quarter of 2015 according to new Ulster University research. 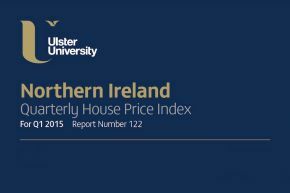 The Quarterly House Price Index, which is carried out by Ulster University in partnership with the Northern Ireland Housing Executive, analyses performance of Northern Ireland's residential housing market between January and March 2015. The University's research provides evidence of growth both in terms of house price and volume of sales. The overall average house price has increased to £147,409 representing a weighted growth of 5.3% compared to the same period last year. This builds on the recovery that was apparent throughout 2014 which was the first year of growth since 2007. The report suggests a highly affordable price structure for housing in Northern Ireland with two-thirds of houses sold at or below £150,000, which is likely to be driven by an increase demand from first-time buyers as the economic climate improves. All property types in Ulster University's research show an increase in average sales price over the year with semi-detached houses remaining the dominant property type with 34% of market share. The market share of newly built property at 15% remains highly consistent with the 2014 sample, suggesting continuing recovery in private sector housing development. Lead researcher, Professor Stanley McGreal from Ulster University said: "Ulster University's Built Environment Research Institute has been driving research into Northern Ireland's housing market for over 30 years and provides an indication of the state of the economy and buyer confidence. The most recent findings signal an improvement in the market with more houses being sold at higher prices. "At a regional level, the overall picture is of price growth with average prices in North Down and Lisburn the highest throughout the region." Joe Frey, the Housing Executive's Head of Research, commented: "Ulster University's House Price Index provides further confirmation that Northern Ireland's housing market has been undergoing a steady recovery over the past two years. Despite this, there has been no significant deterioration in affordability as incomes have started to rise and mortgages interest rates have remained competitive."